It's a Chrome OS laptop and an Android tablet, and it's currently at its lowest price ever. 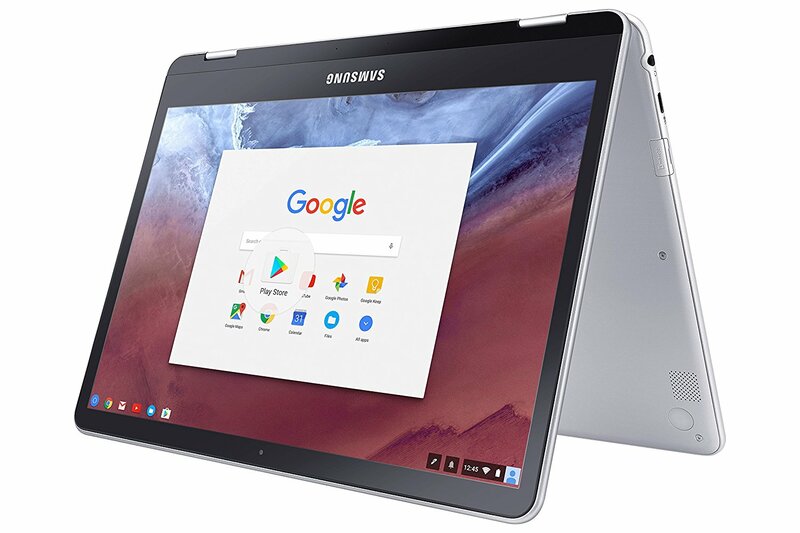 You can get the recently-released Samsung Chromebook Plus from Amazon for only $379 while the deal lasts. Chromebooks are already known for being generally inexpensive, yet it's nice to be able to shave a few bucks off one every once in a while. Currently, Samsung is offering a nice deal on one of its Chromebooks, the Samsung Chromebook Plus. It's a laptop that can flip into a tablet, and it runs Chrome OS (of course) but can also handle your favorite Android apps. It's good enough for browsing the web and streaming HD videos, creating documents and reading books, drawing (it comes with a built-in stylus) and maybe even playing less graphically-intensive games (or those that support changing the graphics settings). And it runs a bunch of the apps available on the Play Store. At $379, it's not a bad deal by any means. You can check out the discounted Samsung Chromebook Plus here.